Oh my goodness! 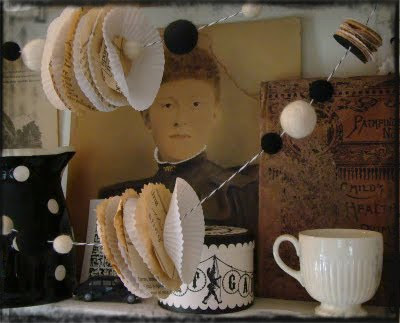 You absolutely MUST get yourself over to the Joli Paquet blog today and check out Melissa McCobb Hubbell's adorable Halloween Garland! Go now!!!! Don't you just love it! I love it! Jeanne!! I was at Paper Tales looking through a certain magazine when a certain article popped out at me! Yay!! Love the box!!! I should it to Michelle and Julie and they were very impressed. I bought the magazine of course.....:) Congrats!